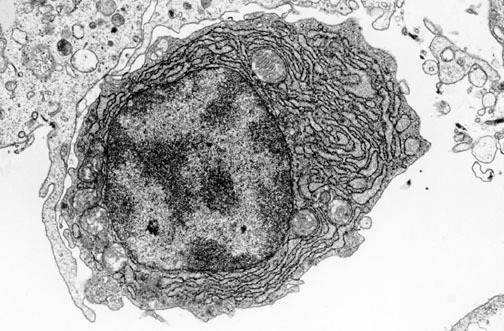 This is a plasma cell with prominent cytoplasmic rough endoplasmic reticulum. The nucleus has radially arranged clumps of chromatin. The perinuclear Golgi apparatus does not appear in this plane of sectioning.